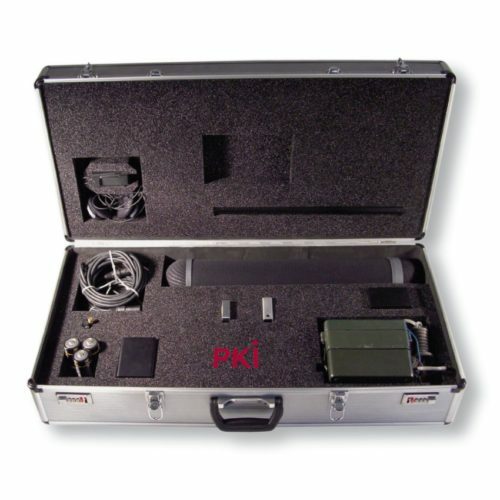 The PKI 7420 has been developed for border controls, police and law enforcement agencies to detect people hiding in confined spaces in trucks, lofts, rooms, vehicles etc. It works by detecting and analysing the presence of microscopic quantities of carbon dioxide gas which are emitted in human breath. The system contains sophisticated software which interprets the results from the sensors. Results and current status of the PKI 7420 are shown in the LED display. An optional 50 mtr. CO2 pear drop rescue probe has been specifically designed for specialist rescue units following major disasters where people may be trapped in confined spaces.